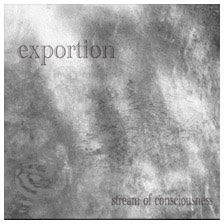 Exportion is sound and visual project. We are alive in the interstice of the fantasy and the reality. This story is a fantasy but a reality. We travel from the reality to non-reality again. It considers, time and space become one flow that forms the world at time. The two worlds exist in the same time and the verges exist close to us. The world not seen if consideration is not turned. Door that opens by feeling that it is strong. The door is open and we travel to the world that has not seen yet. We express it by the sound and the image.